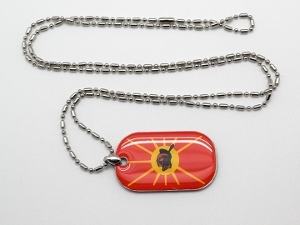 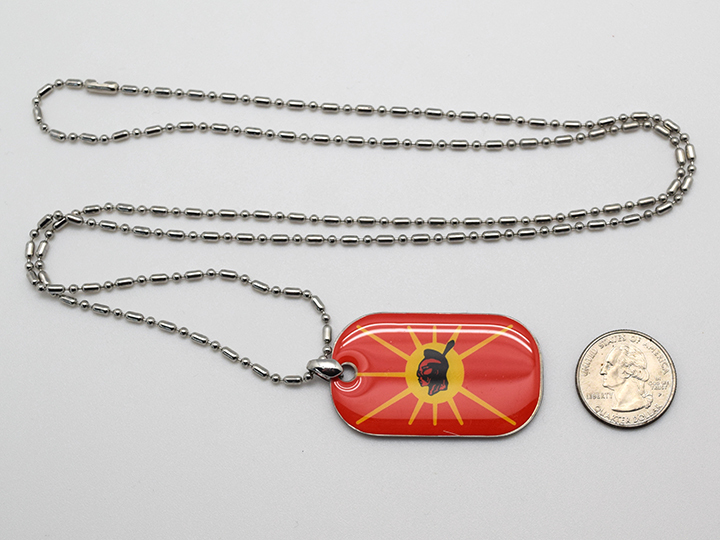 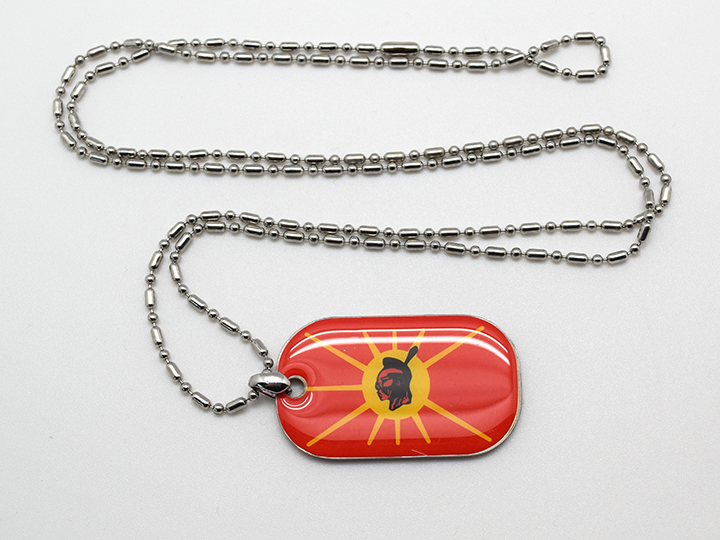 These stainless steel dog tags with laminated covers are hung on 17" ball-and-oval-bead chains. 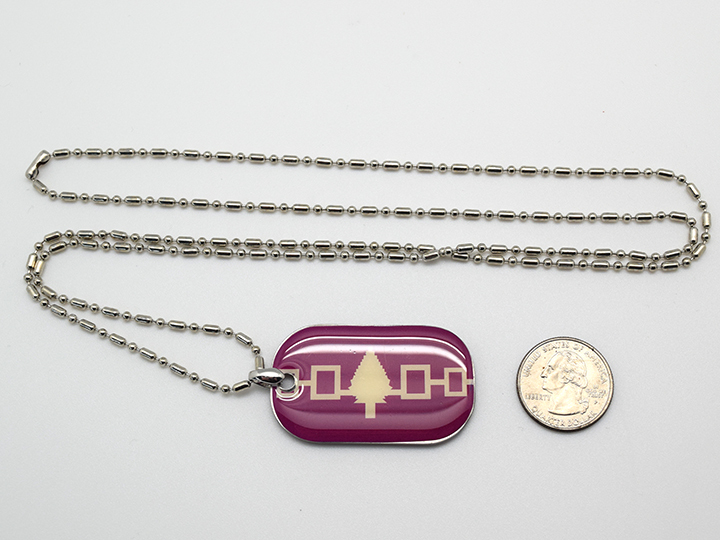 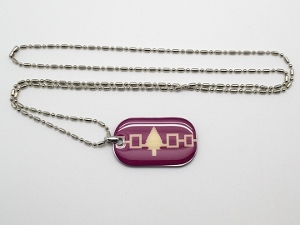 The pendant measures 2" long by 1.25" wide, and weighs 0.03 lbs. 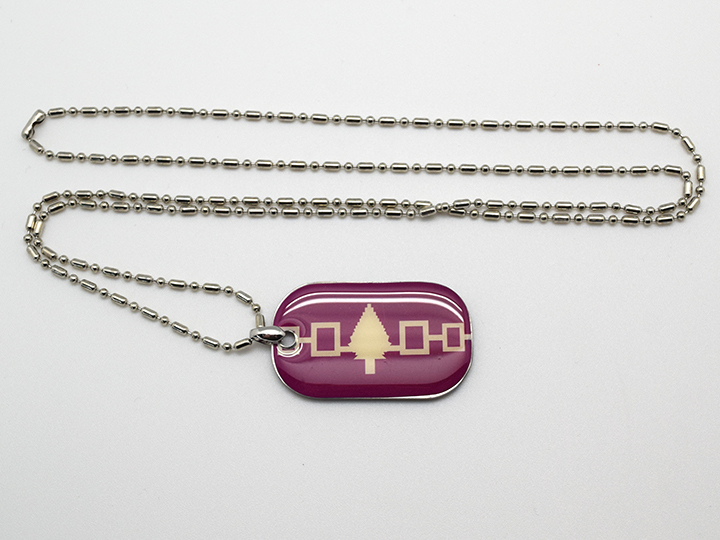 They come in two designs.